Thank you for submitting your item for appraisal. 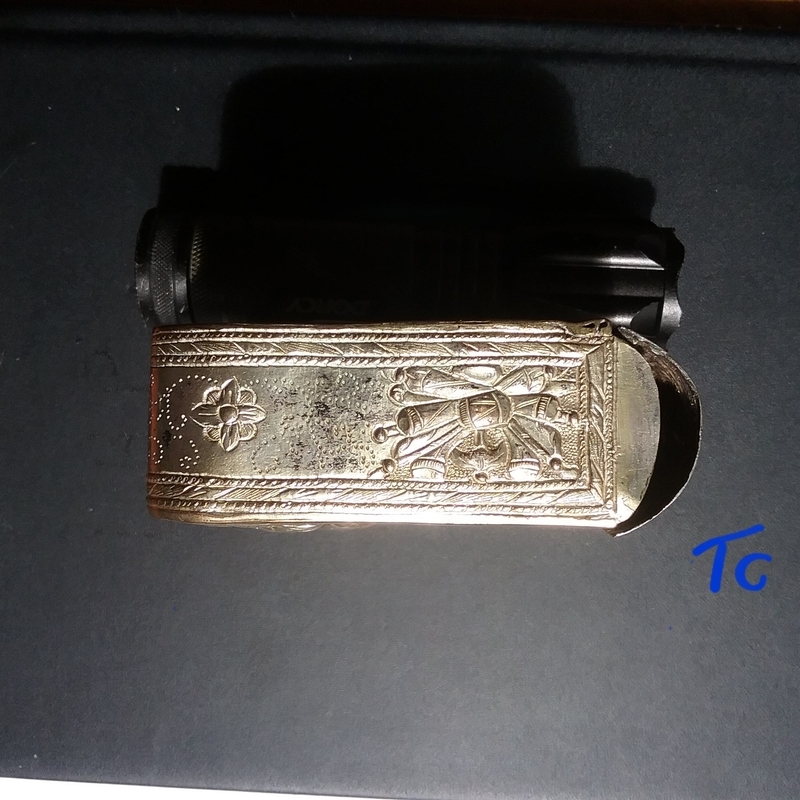 This appears to be a circa 1900 turkish ottoman empire nickel silver ammunition cartridge box, hand crafted, incised with a variation of the turkish coat of arms. Shown are various trophys, e.g. canons, flags, and cornucopia for the abundance etc. This coat of arms was introduced in 1882 and partly replaced the Tughra. The estimate is based on similar items offered or sold at auction.